Far beyond Atkins, South Beach, or any other carb-cutting fad diet is a growing number of people with true aversion to bread. Marked by an inability to process the gluten protein found in wheat, celiac disease is an autoimmune disorder (think Type-1 diabetes or lupus) that affects millions of people. It attacks the inner lining of the small intestine and hinders the absorption of food nutrients. Some people have gluten allergies, which is less severe than celiac disease, but avoiding gluten in such cases has shown proven benefits. While a gluten-free diet has become somewhat of a trend lately, even among those without sensitivity to gluten, it’s still fairly new to America’s consciousness. The disease, genetic in origin, affects a reported three million Americans (one percent of the population). Although 20-30 percent of the world’s population has been found to carry the HLA-DQ gene associated with a genetic susceptibility to celiac disease, 95 percent of celiacs still go undiagnosed. 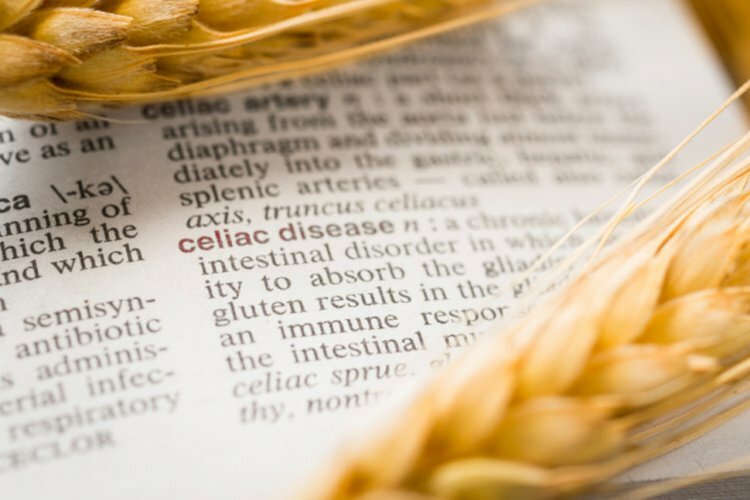 Celiacs must not just avoid wheat products—specifically kamut, semolina, durum, spelt, faro, and einkorn—but also rye, barley, and oats. Celiac disease is not a child’s disease and therefore cannot be outgrown. Like Type-1 diabetes or other autoimmune diseases, once you are correctly diagnosed, you will always have the disease. There are no medications to relieve intestinal symptoms — which can range from common digestive troubles to fatigue and seizures — or known cures for Celiac disease, but it is entirely treatable by following a gluten-free diet. “Gluten-free foods is the ‘drug of choice’ for people with celiac disease — no prescriptions are available except strict avoidance of gluten,” says Elaine Monarch, Founder of the Celiac Disease Foundation (celiac.org). A number of sites are dedicated to educating diners and providing menu information for gluten-free options. A list of chain restaurants (think PF Chang’s and Bonefish Grill) can be found at glutenfreemenus.net. Glutenfreerestaurants.com lists restaurants participating in the Gluten-Free Restaurant Awareness Program (GFRAP), while Gluten-Free Living, a glossy national magazine, offer recipes, substitutions, advice from doctors, and other helpful tools for living with celiac disease. Celiacs need not just munch on rice cakes all day. Besides corn and potatoes (French fries, anyone?) there are other lesser-known starches that can be incorporated into a gluten-free diet. Buckwheat often used for soba noodles; millet; teff, which is made into Ethiopian injera; and quinoa, known as the “super grain” as it’s packed with proteins and nutrients can all be consumed freely. Though celiac disease and wheat allergies are often confused due to similar diet restrictions, people diagnosed with wheat allergies may still consume rye and barley whereas celiacs cannot. Read: most beers are off limits, but wine and hard alcohols are not. According to the National Institutes of Health’s Celiac Disease Awareness Campaign, distilled alcohol is inherently gluten-free. This includes gin, vodka, scotch whisky, and rye whiskey. Although whiskeys are derived from wheat, barley, or rye, the distilling process removes the gluten proteins. Wine is almost always gluten-free. Until recently, throwing back a cold one wasn’t an option for celiacs. Now, many companies have started producing gluten-free brews made from rice, buckwheat, corn, and other safe-to-consume grains. Among the most common varieties are Redbridge Beer, produced by Anheuser-Busch, and Bard’s Tale Beer, which is made from sorghum and widely found at Whole Foods. Beware of international gluten-free beers as standards vary by country, so some products may still contain remnants of the protein. Wheat isn’t exclusive to breads and pastries. Many uncommonly known foods are attributed to wheat, such as: canned soups for thickening; sauces and condiments such as ketchup, soy sauce, barbecue sauce, and salad dressings; gravy; ground spices to prevent clumping; instant powdered drinks; and imitation and pasteurized cheeses.